Planning on hosting a birthday party in MN? Everybody has a birthday annually and many people love honoring that by throwing a party. The real question though is where and how to celebrate. Splatball is a great idea for any birthday party, take the party for our paintball facility and allow the extreme fun to begin. The next time you need a suggestion for an activity based birthday party in MN look to Splatball. 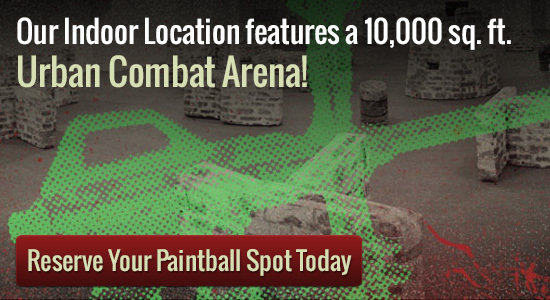 The minimum age for a participant is 9 years old and a trained paintball referee supervises all groups. No experience is required, as teams will quickly develop their own strategy and skill while at the same time having a blast. Whether you are a beginner or an experienced pro you will be able to enjoy the experience. There is paintball equipment, guns, and protective gear for rental. Naturally, there is CO2 and paintball ammo available along with a friendly staff to assist and answer any questions. Paintball is the perfect answer for a birthday party in MN. A party group makes the perfect paintball adversaries. Whether you divide up the participants, or design teams of the partygoers versus parents it doesn’t matter because the end result will be fun. A paintball game helps to develop a sense of teamwork and encourages competition. Teams will quickly devise strategies and learn to rely upon each other in a non-lethal combat situation. The safety equipment ensures that the fun stays safe and that no one gets hurt.